PARIS There are no trash cans on the Champs-Elysees. Paris' department stores, as well as shops and restaurants across the country, are closed on Sundays. And pickpockets swarm the Eiffel Tower and the Louvre. France has long had a reputation -- particularly in the English-speaking world -- for being a bit difficult to visit. We love to hate it, with its surly waiters and superior shopkeepers. 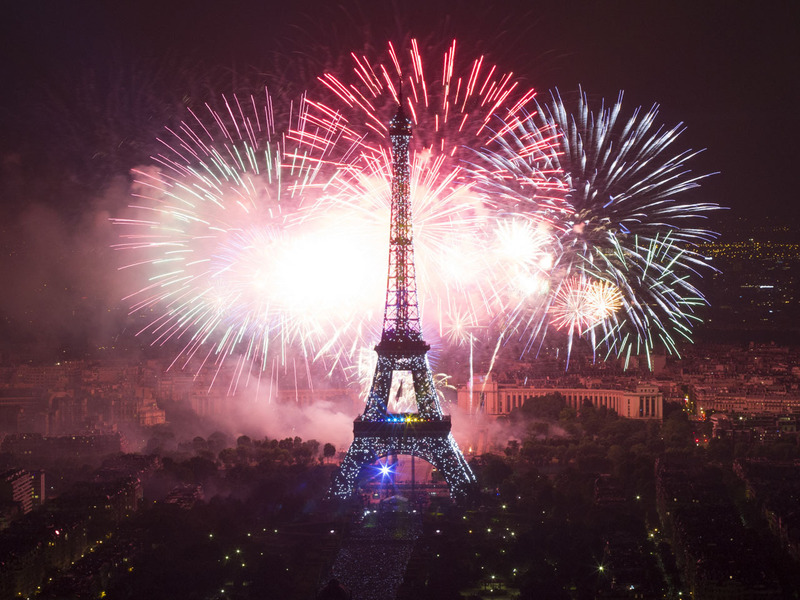 But we also love to love it: More people visit France than any other country in the world. But now, after years of casually riding a reputation for stunning monuments and world-class food, the French are starting to talk about tourism as an economic benefit -- and one they need to do more to capitalize on. This is a sea change in a country that has long prided itself on not doing anything as gauche as catering to visitors. "The problem is that in France we don't value jobs in tourism," says Didier Arino, a director of the consultancy Protourisme. "We conflate services with servitude." The numbers show that something is amiss. With the draws of Paris, Alpine skiing and some of the ritziest Mediterranean resorts, France has been the most-visited country for every year there are statistics in the World Bank database, welcoming 83 million foreign tourists in 2012. But it has never sat atop the list of places where visitors spend the most. There, it has been No. 3, behind the U.S. and Spain, for several years. France's Socialist government has vowed to change this. "I want to make France No. 1, period," Tourism Minister Sylvia Pinel told reporters last year as a new government took the reins and laid out its priorities. Improving France's "welcome" was one of those -- creating a true tourism policy for the first time, Pinel said. Pinel wasn't shy in linking the cultural and commercial: She called tourism a lever for growth and jobs, both of which France desperately needs. The country's economy is in recession, and unemployment is nearly 11 percent. So it cannot afford to ignore the tourism industry, which accounts for more than 7 percent of the country's gross domestic product, more than the auto industry, she said. But it could do a lot more: International visitors spent more than double in the U.S. than they did in France in 2012 -- $126.2 billion, compared to $53.7 billion, according to the U.N.'s World Tourism Organization. That despite the fact that France welcomed 20 percent more tourists. So why are tourists flocking to France but unwilling to part with their cash once they get there? Partially it's because France tends to be a short-stay location: Europeans head to Paris for a weekend; visitors from further afield combine a visit to the city with other European capitals, devoting a few days to each. Pinel, the tourism minister, says that one way to get tourists spending more money and time in France is to draw them to other parts of the country -- and persuade regions to work together as partners, not competitors. "Because we see regions or territories that compete to promote themselves internationally, but the goal is to have several territories that are promoted, so they can all benefit with longer visits," Pinel said in an interview with The Associated Press. "Our special difficulty is that we're a country that is visited, notably the Ile-de-France region (around the capital) and Paris, but has trouble capturing visitors for a long time in other regions." But the crowds of tourists descending on Paris are also part of the problem. "It's sometimes a bit difficult to marry the Parisians with their 30 million tourists," says Audrey Epeche, who works in the office of Jean-Bernard Bros, the deputy mayor in charge of tourism, in an attempt to explain the city's reputation for rudeness. She adds that this tide of visitors every year -- counts vary, but Paris is definitely among the most visited cities in the world -- also leads to the petty crime the city has become known for. In April, employees at the Louvre walked off the job to protest the swarms of pickpockets that often operate in the museum. The Paris police department has even created a guide in six languages with recommendations for how to avoid thieves and scams. While petty crime can be hard to get a handle on, the government and the city are determined to change what they can, including the reputation for snobbishness. Working on the hunch that it's the frigid welcome that has dissuaded tourists from spending more, Paris' Chamber of Commerce and Industry has joined forces with the city's Regional Tourism Committee to create a guide for people who work in hospitality. Called "Do You Speak Touriste?," the guide focuses a lot on the obstacle of language. "When you go to a foreign country, and you see that the person in front of you is making an effort to at least start the discussion in your language, there's a barrier that breaks down," says Quentin Boissy D'Anglas of the Chamber of Commerce. The guide -- available in hard copy and online -- offers a few phrases in the languages of the 11 most popular countries of origin for tourists to Paris. Perhaps more important, it also offers clues to what tourists are looking for: A Brazilian wants to feel he is seeing the "hidden" Paris, for instance, or a German appreciates a handshake. The advice can seem simple: Most tourists -- surprise! -- are looking for good service. But Pauline Frommer notes that small matters of politesse can make a big difference on impressions. She suspects that at least part of the French reputation for rudeness in the U.S. stems from Americans' misunderstanding of the rules here. Frommer, who is co-publisher of the Frommer's guide books and frommers.com, says she always encourages American tourists to say "bonjour" when they enter a store -- no matter how self-conscious they are about their French. "If you don't, you may be treated rudely because it's seen as you thinking you're better than the shopkeeper," she says. "There is more egalite in France." But Edouard Lefebvre from Comite Champs-Elysees, which represents the shops on the famous avenue, notes that the French also need to be more flexible themselves. For Lefebvre, the lack of garbage cans on the avenue is a sign of how the French can sometimes ignore the comfort of tourists. A tourist "has come 7,000 kilometers to see the Champs-Elysees, the most beautiful avenue in the world, that embodies France and its prestige and its influence in the world and there isn't a garbage can," he says, with disbelief. Bojana Galic, a 17-year-old from Chicago, who was visiting Paris with a dance troupe, said she and her friends all lamented that the city was dirtier than they expected and were surprised at how hard it was to find a place to throw out trash. Still, the Champs-Elysees has a leg up on many other parts of Paris, since stores there won the right in 2009 to open on Sundays. Tradition and law conspire to shut down most shops -- from grocery to clothing stores -- throughout the capital, except in seven designated "tourist zones." The world-famous department stores -- Printemps, Galeries Lafayette and Le Bon Marche -- are not included. And that has led to concerns that Sunday closures are driving down tourism revenue. "Contrary to what we hear sometimes, what these clients don't spend on the weekend, they won't spend another day of the week, simply because they will have already left the capital!" Bros, the deputy mayor in charge of tourism, wrote in a recent op-ed. And it's not just Sundays: French life is still highly rhythmic, even in major cities. Lunch is from 12 to 2 -- pity the tourist who woke up late and wants anything more than a soggy sandwich at 3. Dinner is served from 8 to 10. The "Do You Speak Touriste" guide notes that Spaniards -- notorious for their midnight dinners -- should especially be warned of this. But too bad for anyone with jetlag looking for a late-night bite. In fact, one of the surprising hassles of Paris may be struggling to find a good meal at any hour. In the provinces, world-class restaurants often hide in unlikely places, delighting those who overlook shabby ambiance to take a chance. But along the grand Parisian boulevards most frequented by visitors, good food can be elusive. Rebecca Magniant said she remembered writing in her journal after her first trip to Paris, at 18, that she loved the city but couldn't stand the food. "Because as a first-time tourist, all we ended up eating in were the tourist traps," said Magniant, who now runs Chic Shopping Paris, a tour company she founded 10 years ago. "You have very, very high-end, amazing food, but there's a lot of crap out there, and people don't know how to get to this middle ground where there's just really good everyday bistros." Kevin Hart, an American pilot visiting France recently with his family, said they were warned to eat out sparingly in Paris by some French friends, although they raved about meals eaten in the countryside. The Harts, from Santa Barbara, Calif., were milling outside the Eiffel Tower, figuring out their next move after discovering that the iconic monument was shut for a strike. "The Sunday closures, the frequent blockages (strikes), the little incivilities, all these elements, all these little things lead tourists to say to themselves, France is wonderful, but it would be even better without the French," lamented Arino, the consultant. But Epeche, who works at city hall, said France is unique as a tourist destination in that people come not just to see the country's beauty but its people, too. "The tourist who loved his first visit is going to come back because he wants to live Paris as a Parisian," said Epeche. "He's going to want to install himself in a sidewalk cafe as Parisians do for hours, drink a coffee or two or three."